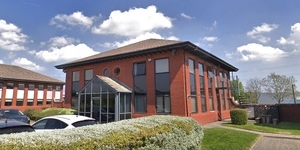 Birch Court is situated in an established industrial area at the end of Grosvenor Grange, off Kingsland Grange in Warrington. Warrington is a town in Cheshire, on the banks of the River Mersey, 20 miles east of Liverpool and 20 miles west of Manchester. The town lies close to the M62, M6 and M56 motorways and midway between Liverpool and Manchester Airports. The estate benefits from excellent transport links with J21 of the M6, 6 minutes drive away, and J11 of the M62 only 4 miles away with direct access from Birchwood Way. Warrington also offers good transport links, with the town being served by two main railway stations. Banky Quay is on the main West Coast Line between London Euston and Glasgow Central and the Manchester Piccadilly to North Wales via Chester line. Central is on the Liverpool to Manchester line with through services to the North East and East Anglia. The nearest train stations to the estate are Padgate and Birchwood. 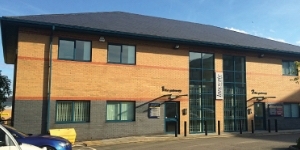 Warrington town centre is located approximately 5.5 miles south west of the estate and provides a range of high street shops, retail outlets and eateries including the Golden Square Shopping Centre. Closer to Birch Court is the Birchwood Shopping Centre with Asda Superstore, Argos and McDonalds restaurant only 7 minutes drive away. 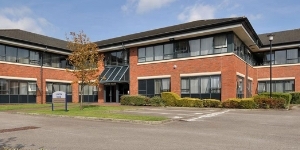 Birch Court is a modern industrial / trade development constructed in 2009 to provide a mix of workshop / trade counter units from 1,100 - 2,795 sq ft. 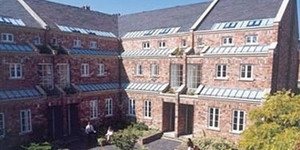 Totalling 33,430 sq ft the estate is split into 18 units within 3 terraced blocks, situated around a central courtyard. 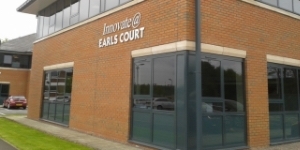 Birch Court is accessed through a single gated entrance, which provides excellent security fot the businesses on site, which also benefit from a good parking ratio and circulation space. The units incorporate manually operated 'slide' doors of galvanised steel, not less than 2.8m high, and units 17 to 19 also include 10% office accommodation. The EPC ratings on the avaliable units range from A8 - D77. Copies of the individual EPC's are available on request.